Today’s smartphones have replaced items that would have filled a whole room a few decades ago. In the palm of our hand, we have a radio, an entertainment system, a phone, a music player and what not. 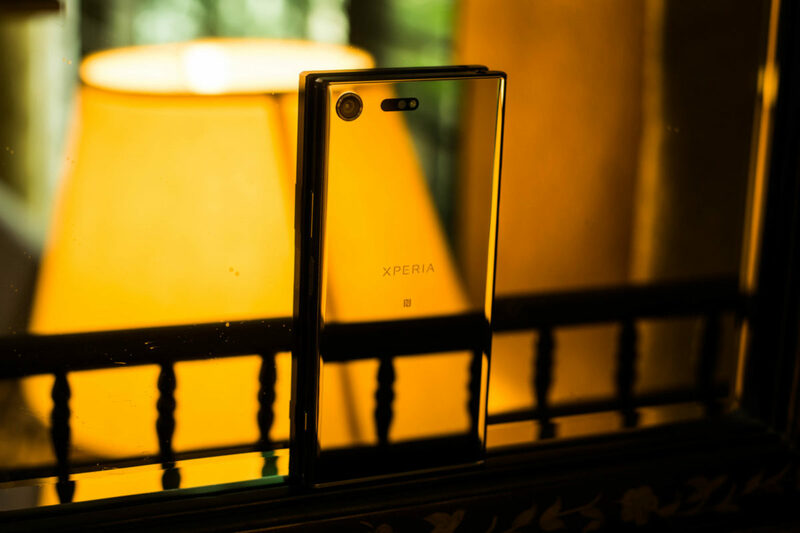 With the Sony Xperia XZ Premium, we can add “a mirror” to the list. 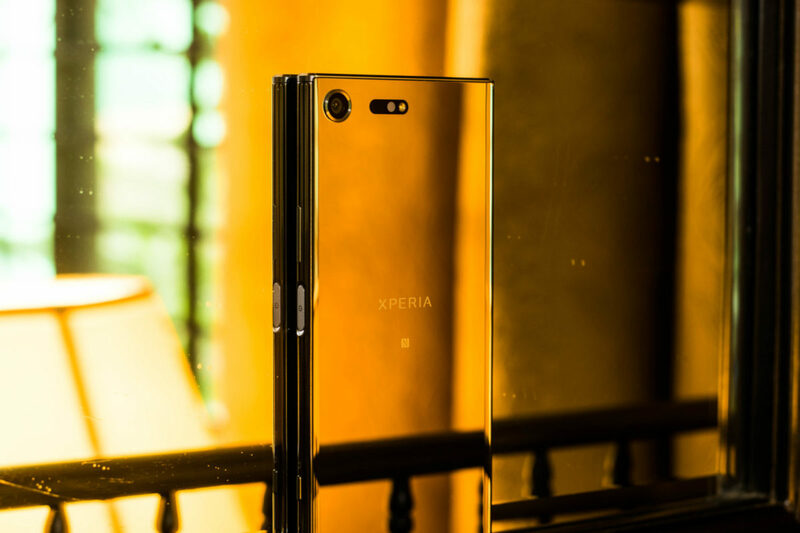 Meet the newest flagship from Sony which also happens to be the shiniest phone we’ve ever seen. The Xperia XZ Premium also marks Sony’s re-entry into Pakistan. Even when they were widely available a few years ago, they were known for their unique build quality and excellent camera performance. Does the newest flagship carry the trend forwards? Let’s find out! Bezel-less displays are officially mainstream and even lower mid-range devices have started to feature them. However, that hasn’t deterred Sony at all and they are sticking with their Xperia design language. The entire new line-up comes with a square-ish body form but it is more refined this time around. There’s Gorilla Glass 5 on the front and back of the device, protecting it from minor day-to-day scratches. The sides are made of plastic but you’d be hard pressed to tell the difference. The back is extremely reflective (think mirror) and attracts a lot of fingerprints. On the front you have the dual front facing speakers, secondary camera and other various sensors. The back houses the primary camera and the single LED flash and laser autofocus. On the right side you’ll find the volume rocker, power button/fingerprint scanner and the dedicated camera shutter button. On the left side you’ll find a flap that houses the microSD card and SIM card slot. Be careful to completely seal the flap if you want to take your phone underwater. The XZ Premium has a very impressive 5.5-inch panel having a resolution of 3840×2160. Yes, that’s 4k! The previous iteration of the Xperia line-up was the first smartphone ever to feature a 4k panel and the XZ Premium just takes that and makes it even better. While the Z5 Premium rendered the UI and other non-4k content in regular 1080p to save battery, the XZ Premium is always rendering everything in 4k. Non-4k content is, of course, upscaled to 4k and it isn’t bad to look at and you won’t notice any kind of pixelation. This is partly thanks to the Bravia TV technology that the XZ Premium uses for better color reproduction and good contrast-y images. Since, native 4k was hard to come by, I managed to test it using the YouTube app and that’s the only source of 4k content right now, at least in Pakistan. I’d like to mention that the display is one of the best I’ve ever used and when it’s running 4k content in HDR, every single phone out there pales in comparison. Being a flagship smartphone, it also brings in tow some pretty impressive specifications. The XZ Premium uses a Qualcomm Snapdragon 835 chipset paired with 4GB of RAM. Needless to say, performance is top notch. Application loading is really fast and even the most resource intensive games out there such as Real Racing 3 runs without breaking a sweat. There are no dropped frames or choppiness in the gameplay. Thanks to the 4GB of RAM, you can load multiple applications in the background without having to worry about them closing and you can quickly move between them. Let’s move on the star of the show: the camera. Let’s get the numbers out of the way first. The XZ Premium features a 19MP f/2.0 sensor with predictive phase detection and laser autofocus. The sensor is a larger than usual, around 1/2.3″, which basically means that the low light performance of the camera will be better, at least on paper. As I mentioned above, the XZ Premium also features a physical shutter button. You won’t get the ease of using a physical shutter button unless you have actually used one. Once you are used to it, you will find yourself looking for it on any other phone. Moving on to the actual camera performance and quality of the camera, it is, simply put, outstanding. Images are quite sharp and detailed, especially in good lighting. The colors are nice and accurate. However, in bright conditions, some parts do look overexposed but that can be adjusted using the manual mode. The headlining feature of the XZ Premium is the 960fps slow mo capture. It works really well, but only in well-lit conditions. Anything other than sunlight and it is completely unusable. Resulting videos look phenomenal and it takes a bit of practicing to get used to. You can take a look at some of the samples in the video above. There’s also Augmented Reality on board. Other manufacturers have also tried to implement it but only in vain. I loved Sony’s implementation of AR, mainly due to the fact that it is done really well. Interacting is smooth. There are a lot of AR scenarios available but you can download more if you please. The XZ Premium has a 3,230 mAh battery. I was concerned that a battery of this size might not perform well given the high-res display. I was partly right. The XZ Premium gave average battery life. It was enough to last me through a day and I got around 4:45 of SOT. I achieved this during a day of taking photos, shooting 4k videos, slow mo, benchmarks. So a light user might be able to get even better battery life. Overall, my experience with the Sony Xperia XZ Premium was very good. I believe that the XZ Premium gives a unique experience that no other phone in the market currently offers. It does have huge bezels for a phone in 2017 but I think that is a small trade-off for what it offers in comparison to other phones such as dual front facing speakers, a 4K display, excellent camera, top of the line performance. The individuals who will buy this phone will do so knowing that they aren’t following the market trend but rather going for a quite unique experience that most other phones won’t be able to give. However, at a price of Rs. 77,999, you would have to be really committed to get that unique experience to purchase the Xperia XZ Premium. The pixel density is stellar. The cost directly relates to the name i.e Premium. What do you expect? Cheaper phone? The look is elegant there is no doubt in that. Main contenders are S8 with its better display but less resolution. Also G6 which is cheaper. Wahab bhai k liye Mate 10 lite ko bhi list mein shamil kar lete to wo khush ho jate ? Ap ka matlab Full Vision ? wow great news for sony smartphone lover. 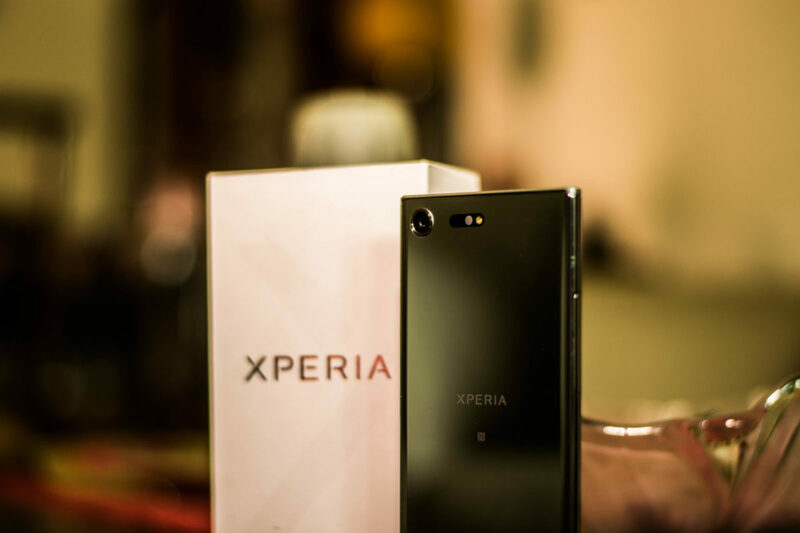 i love sony and i already purchased XZ Premium from dubai in 55000 pkr. But its good that sony enters in pakistan market. Thanks for sharing this.